The first thing everyone would have to do before getting their hands dirty, trying to tune their device should be taking a backup of everything important, just to make sure that you do not end up getting screwed on all joints. For Sony Xperia devices, backing up the TA partition can effectively enable you to restore your device to its factory state, in case your device ends up in trouble. This includes restoring the DRM keys, locking bootloader and restoring the warranty, etc. Disclaimer: This guide is intended as a helpful “how to”. dotTech and its writers are not responsible for any gain or loss (including but not limited to bricked devices) incurred as a result of following this guide. Proceed at your own risk. 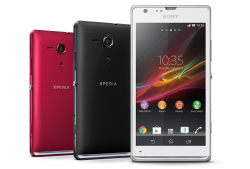 This guide will help you to backup, restore and claim warranty for almost all Sony Xperia devices. Please check the compatible devices list  before proceeding. You need to have rooted your device to be able to follow this guide. It is recommended for your device to be running on the Stock ROM, to prevent soft-brick. Download the latest version of Backup TA (zip) from GitHub . A compatible  Sony Xperia device. Extract the zip file you had downloaded earlier to some location on your computer. Make sure that your device is powered ON and connect the device to your computer via a USB cable. Make sure that no other instances of ADB or any other phone utility is running. Go to the location where you had extracted the ‘Backup TA‘ file. Double-click to run the file ‘Backup-TA.bat‘. Read and follow the on-screen instructions to backup or restore your TA partition. Make sure you keep your backup somewhere safe. Happy tweaking!